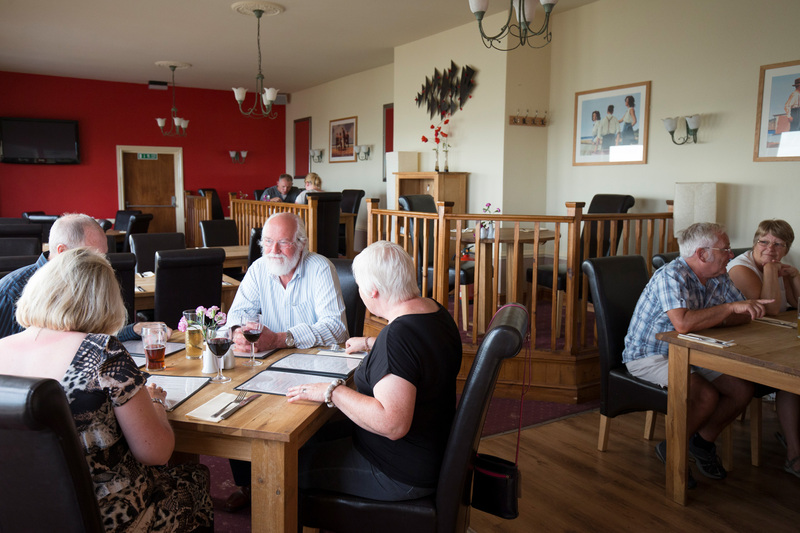 At the Belle Vue, you will be guaranteed a warm welcome, delicious food and spectacular views. 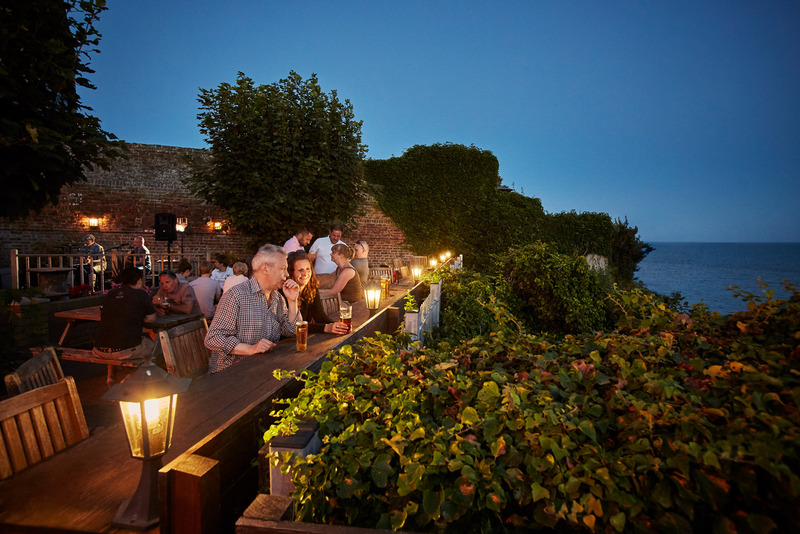 The "Balcony of Kent" at the rear of the pub offers some of the best sea views in Kent - across Pegwell Bay and out to The Channel. It's a great place to catch the sea air and (being South facing) lots of Kentish sunshine and spectacular sunsets. If you're looking for great food, you'll find it here. 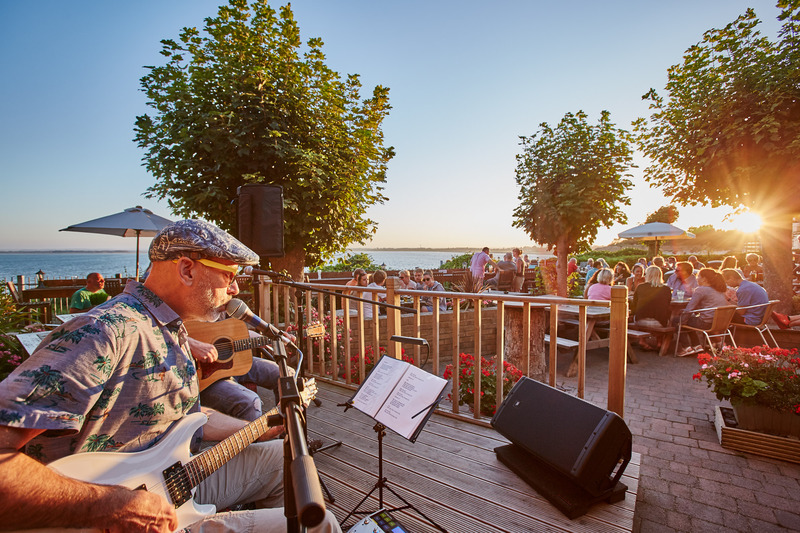 We also offer great entertainment, with twice-weekly live music gigs leading the charge. 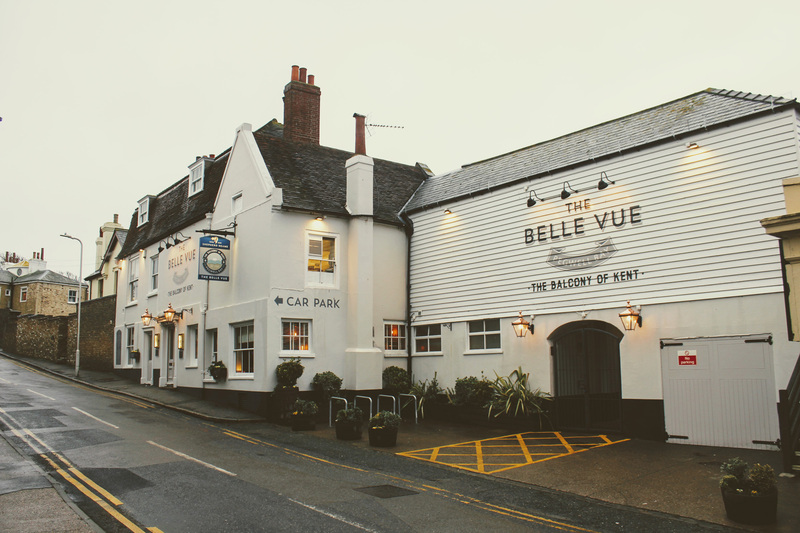 The Belle Vue Tavern has a wealth of history dating back to the early 18th century, when smuggling tunnels linked the pub to cottages across the road. "Big Jim", the village blacksmith, led the Pegwell gang. It's said that a former gardener at the tavern drowned on one of his nocturnal "runs" to recover contraband from the moonlit bay, which was cached in the cellars of the tavern. By the beginning of the 19th century, the inn was receiving the patronage of royalty. In 1830, the Duchess of Kent and her daughter Princess Victoria visited the pub and its renowned tea gardens, sampling the local shrimps offered by "mine host" John Cramp, who received the royal appointment as "Purveyor of Essence of Shrimps in ordinary to Her Majesty the Queen". 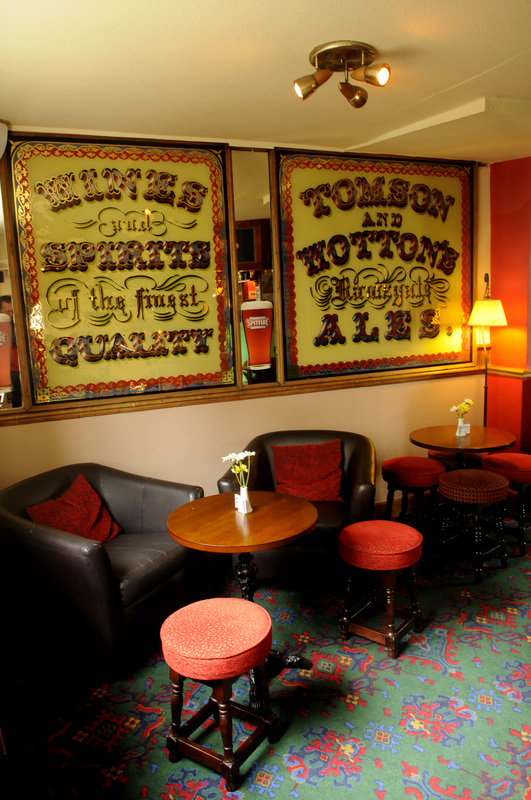 Enjoyed excellent service from bar staff and great waitresses who accommodated are every need. Food is of a very good quality with great views over the sea.Well worth a visit . 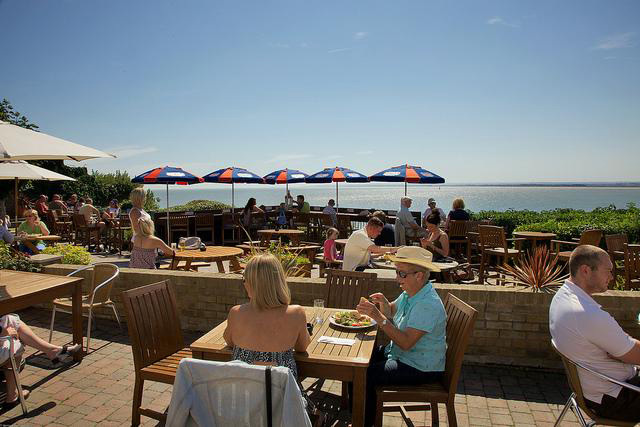 A very enjoyable lunch with family, lovely views across Pegwell Bay, food delicious and hot! Service good! Would definitely recommend a visit. Lovely Sunday afternoon with cold prosecco, live music, food and an amazing view of the sea. We will be back . Fab views over the sea! Lovely garden to sit out in. Menus looked good though we only had drink this time. Lovely place!